Searching around the Lush cosmetics shop, I headed straight for the bubble bars and bath bombs! I was in my element, looking in awe at all the brightly coloured options to choose from! The fragrance of beautiful untwined scents spreads out into the mall before you even enter the store! 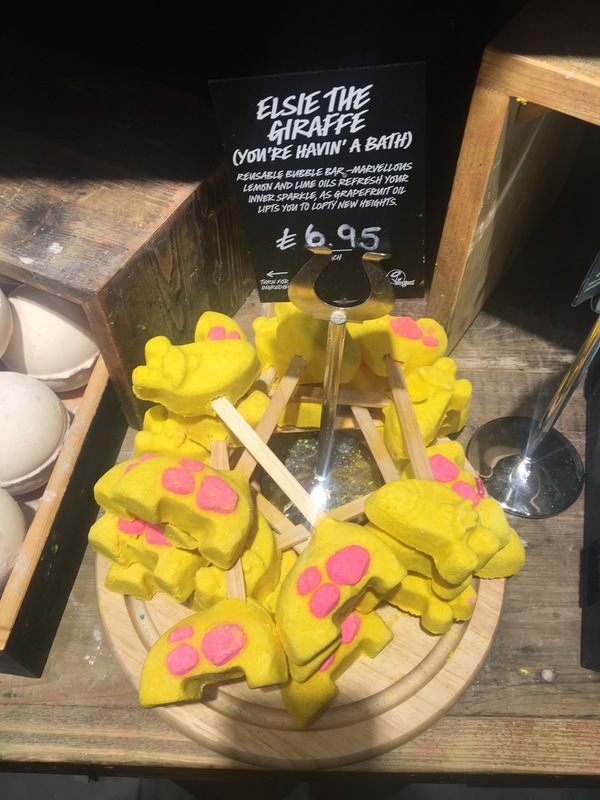 Looking at all the options available I came across this amazing Bubble bar! My favourite animals are giraffes, I love everything about them and so when I saw this, I fell instantly in love! How cute is this idea! 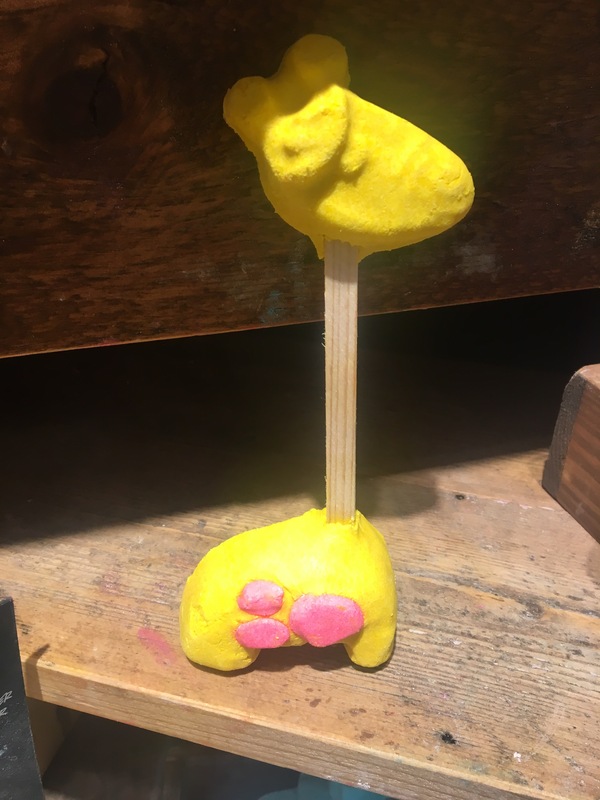 The giraffe design is great enabling you to swish around one end of the stick into your bath and leaving the other side untouched for an easier use…it will last a few baths aswell making it reusable. The bubble bar will fill the bath with a lemony yellow with a citrus scent. It has lemon and lime oils which are refreshing for the skin and a grapefruit oil which will leave your skin feeling soft and smelling great.